Sandymount Cottage is our 1 bedroom bed sitter. 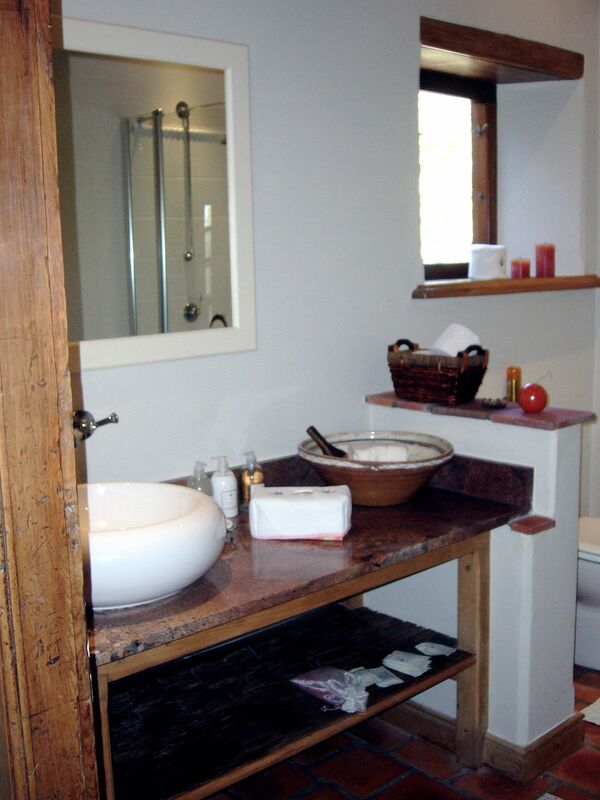 Cosy, fully equipped and with a beautiful private garden ideal for honeymoon couples! 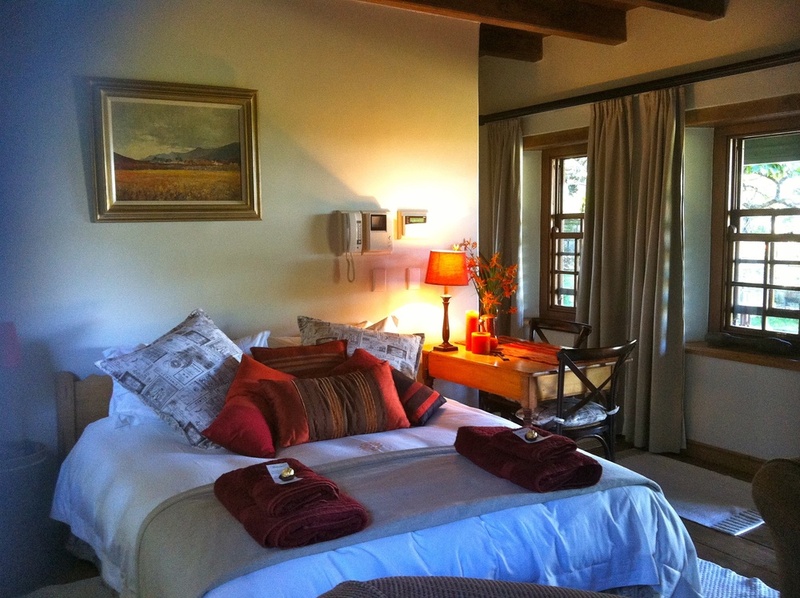 Sandymount was built from old sandstone found in the historic East Cape district of Cradock. 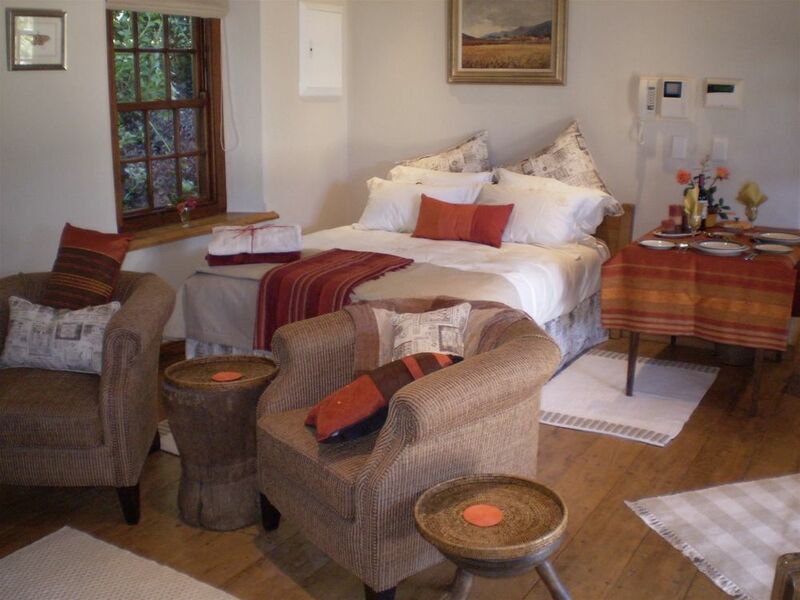 The Cottage has the feel of a tiny hunting lodge, or a forester’s bedsitter - it has an intimate and romantic ambience. The floors and ceiling beams are of old Karoo yellow wood, and likewise the very old stable door. Snuggled in against the East Cape bush, this cottage is the perfect vantage point from which to enjoy the abundant birdlife, or to paint, read or write – or just soak up the tranquillity. The name Sandymount comes from an ancestral home in Dublin Ireland, and later another in Durban, both of which enjoyed sea views. Sandymount Cottage now has its very own little boma, partly surrounded by bush, where sundowners, braais - or a good read in a deck chair - can be enjoyed.